Stuck with a blank page and nothing is really inspiring you? Start with a song you like and build a new one! It’s called a “Ghost Song” and is a type of writing exercise that can move you into a new song, and sometimes a new sound that’s very different from the songs you normally write. The main idea is that you start with a known song and start changing it incrementally, using the original as the template to get your writing in motion. The key here is changing it. You cannot keep any of the lyric or the melody line. That would be copyright infringement. 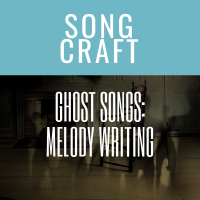 Ghost song writing is meant to be a jump starter to create something new. Once you’re finished, the two shouldn’t sound anything alike. A singer-songwriter and melody master in Houston, Ken Gaines, has a terrific technique to start adding some variety to your melodies: grooves. He has a regular goal of adding “X new grooves” to his song repertoire each year. This forces him to write melodies in a different way. 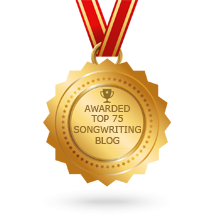 Imagine you’re a couple of songwriters sitting in a room trying to come up with a ballad. You’ve got most of it lyrically, but the chorus is just not popping enough. You’re looking for a catchy chorus that has enough contrast from the verse, has a little pace to it but stays in the pocket when it comes to the “ballad” moniker. You start with a catchy tune you’ve all been listening to, and layer your lyrics over it. You then decide to go low where it goes high, go high where it goes low, slow it down a lot and remove some of the choppiness in the original melody line – smooth it out.